The Australian batsmen remained unimpressive and none of them played a significant innings ahead of the 5th Test, in the two day Tour game vs. England Lions. England Lions declared their innings at 7-269 in 77 overs and the Australians managed 227 for the loss of six wickets after utilising 68 overs. 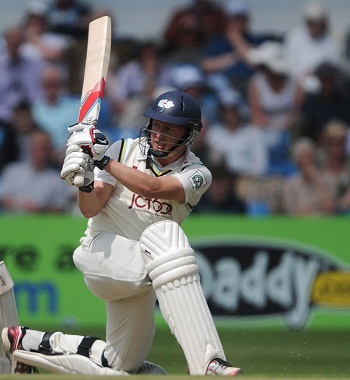 The two day Tour match concluded on Saturday, August 17, 2013, at County Ground, Northampton. Earlier, the skipper of England Lions, Eoin Morgan, declared their innings at their overnight score of 269 with three wickets remaining in 77 overs. Ed Cowan along with David Warner opened the Australians innings and scored 36 runs after 10 overs with 4 fours from the latter. Cowan got his first four in the 13th one and the visitors lost their first wicket at 52 when Warner was caught behind by Jos Buttler off Liam Plunkett for 35 off 46 balls with 5 fours. Ed Cowan followed him next after the addition of six runs to the total at his personal contribution of 17 runs. Phillip Hughes and his captain, Shane Watson, associated in the center and preferred aggression. Watson dispatched 3 fours in the 23rd over and continued his onslaught in the following overs. He accumulated 10 runs four overs later with 1 six and 1 four whereas Hughes kept on securing his end. 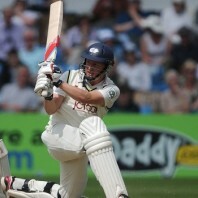 They took the score to 117 as Shane Watson was gone for 45 off just 44 deliveries with 1 six and 8 fours. 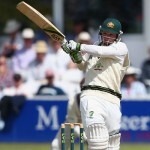 Steven Smith walked in next and followed the footsteps of Watson while hitting 3 fours in the first 16 balls he faced. Smith was clean bowled by Ben Stokes for 18 while Usman Khawaja continued with his bleak form and was dismissed for just four runs. The top order batting of the Australians collapsed and Phillip Hughes was the sixth batsman who went back to the dressing room at 160 runs in 46 overs at his personal feat of 30. Matthew Wade and James Faulkner joined in next but were unable to hit any boundary in the next seven overs. Wade hit 4 fours in the coming overs and Faulkner tasted his first boundary on the 47th ball. The duo could not be separated when the play was called off due to bad weather after the last ball of the 68th over was bowled. Matthew Wade and James Faulkner remained unbeaten for 38 and 29 runs respectively as the Australians reached 227 with four wickets in hand. Ben Stokes was the highest wicket taker with two whereas James Harris, Keith Barker, Liam Plunkett and Simon Kerrigan shared one wicket each. 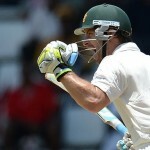 The shaky Australian batting was unable to come out of their shells in the game. They are already down 0-3 in the Investec Test series and might face more difficulties in the 5th and final encounter against England which will commence at the Oval on August 21, 2013.